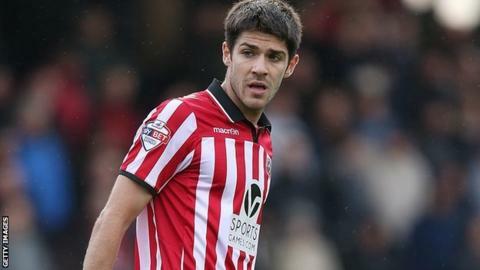 Sheffield United winger Ryan Flynn has signed a new two-year deal. The 25-year-old, who has made 93 league appearances for the Blades since joining from Falkirk in 2011, was out of contract in the summer. Flynn scored against both Aston Villa and Charlton in the side's run to the FA Cup semi-finals this season. Boss Nigel Clough told the club website: "He deserves his new deal and I'm delighted we've managed to put this to bed before the end of the season." The club have the option of a third year on the former Liverpool trainee's new contract.